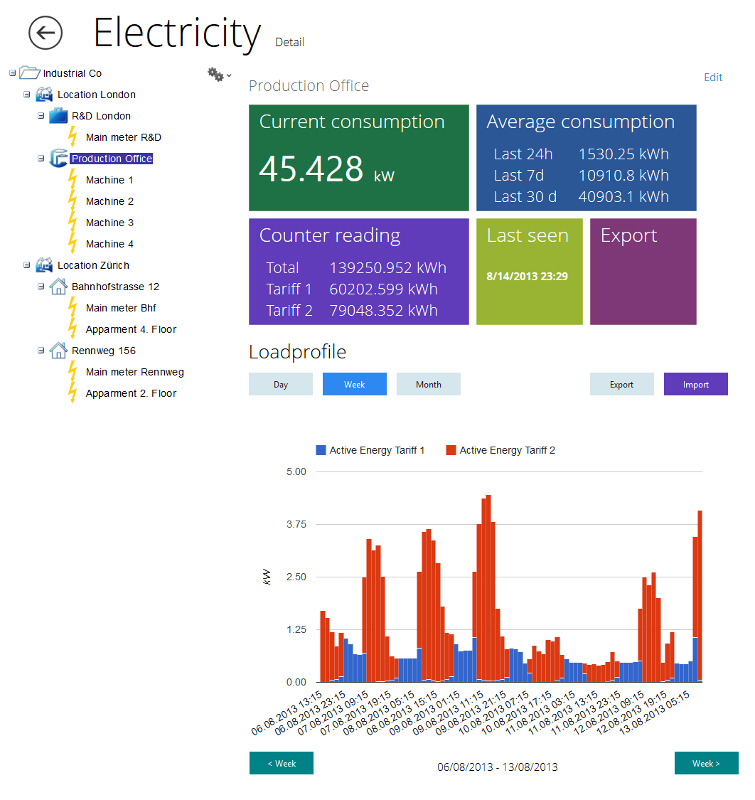 smart-me is a very simple and modern Cloud-based smart-metering Service. 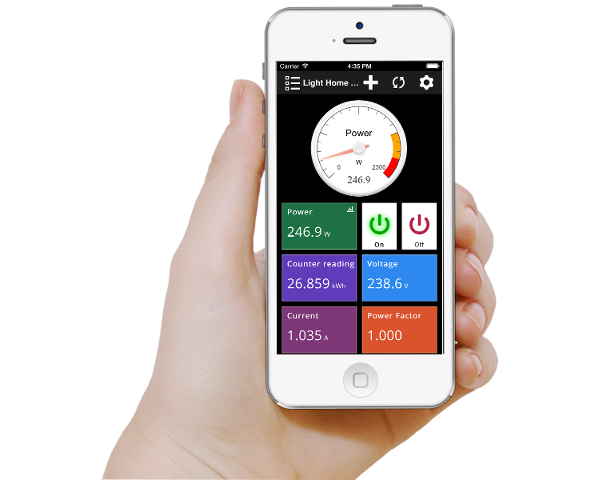 It allows you to control and monitor your Meters from anywhere with your Smart Phone, Tablet or Computer. smart-me supports more than 1000 different devices (Electricity Meters, Heat Meters, Water Meters, Gas Meters, ...). There are a few different possibilities how the Devices can communicate with the smart-me Cloud. 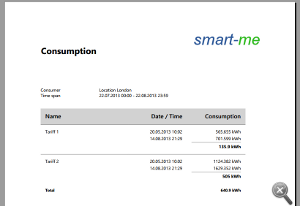 The easiest and cheapest Possibility to monitor the Electricity consumption (and production) is with the smart-me Meter. The smart-me Meter has an integrated WiFi Interface. He uses the existing WiFi Network to communicate with the smart-me Cloud. So no additional Hardware is needed and you can control and monitor your Electricity from anywhere in Real time. 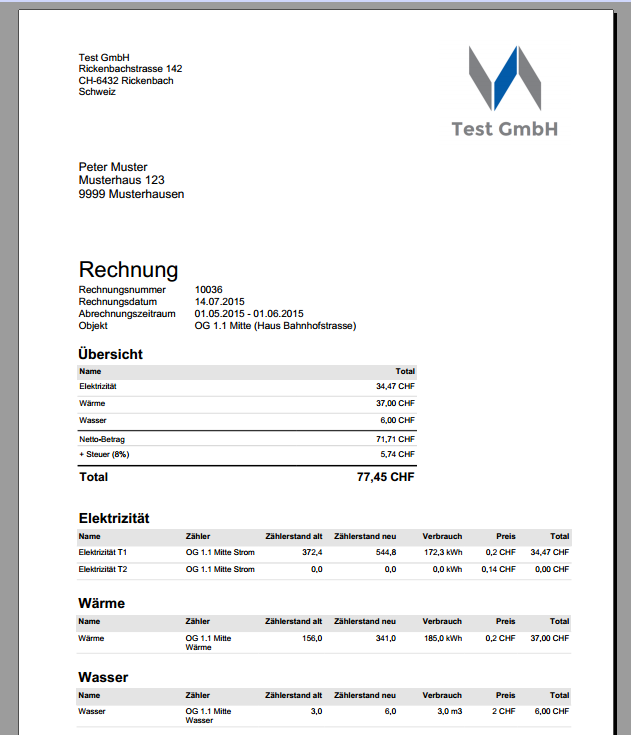 Of course you can also integrate existing Electricity Meters into smart-me. 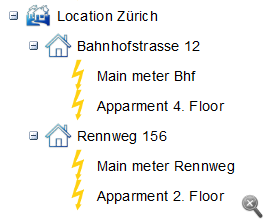 All Electricity Meters with M-BUS or S0 Impulse Interface can be integrated (And this are almost all). All Heat, Water and Gas Meters with M-BUS or S0/DO Interface can be integrated into smart-me. The products of smart-me allow the integration of (almost) all smart-energy devices into our cloud. Applications with an IP-interface such as heat pumps, battery storages or power inverters and many other devices can easily be linked, analysed and intelligently controlled in real time. No additional hardware is needed. Any smart-me product acts as gateway and controls the other IP-capable devices via the interface. The only condition is, that both appliances are located in the same Wi-Fi network. 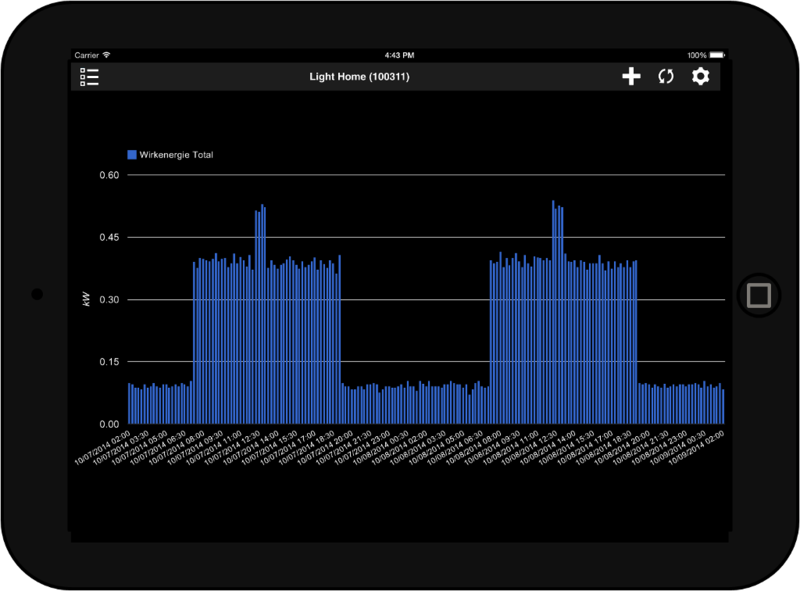 With this function, you can comfortably visualise and analyse the energy consumption of your heat pump on your mobile phone and with the help of various diagrams and reports. The multiple event and switch functions allow an individual optimisation of the connected pump according to your needs. The energy own-consumption is reduced at low cost and with little effort. The smart-me All IP is available soon. Is my device supported by the smart-me All IP? It is our goal to integrate all smart-energy devices. You can request and accelerate the incorporation of your appliance here. 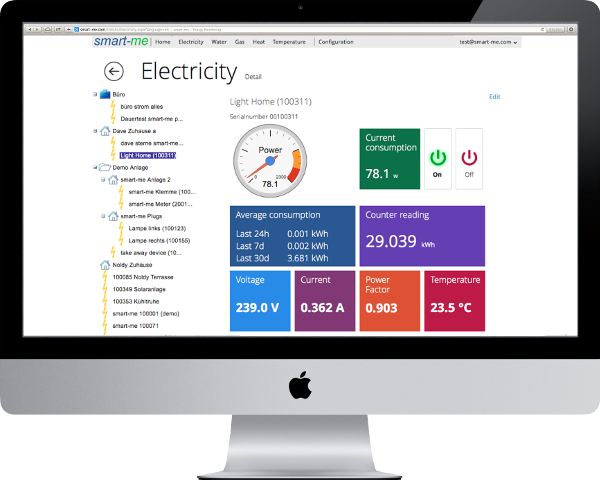 smart-me is professional Energy Monitoring for Electricity, Heat, Water, Gas and Temperature. 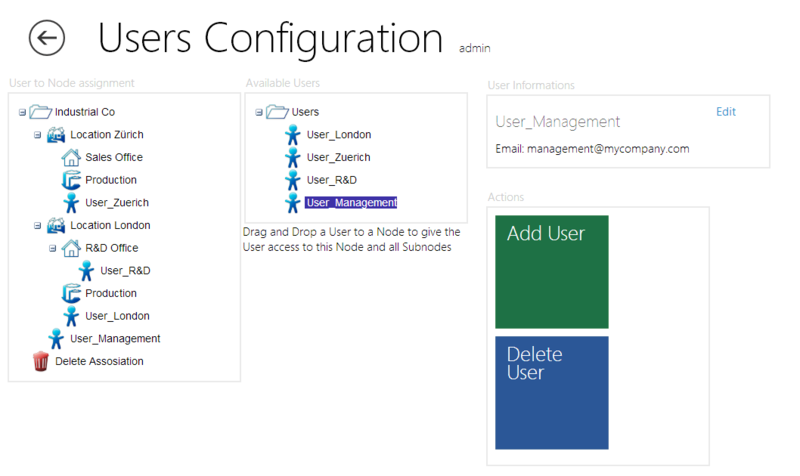 You can access to smart-me from anywhere with your usual devices. You can assign meters to Buildings, Machines, etc. So you can create your own tree view. 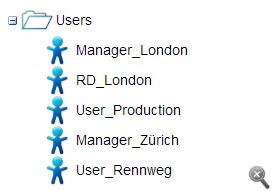 Create users and give them access rights to meters and locations. 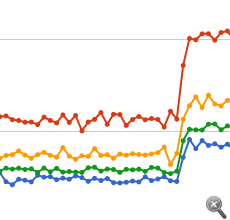 So every users see only the Energy data he is interested in. 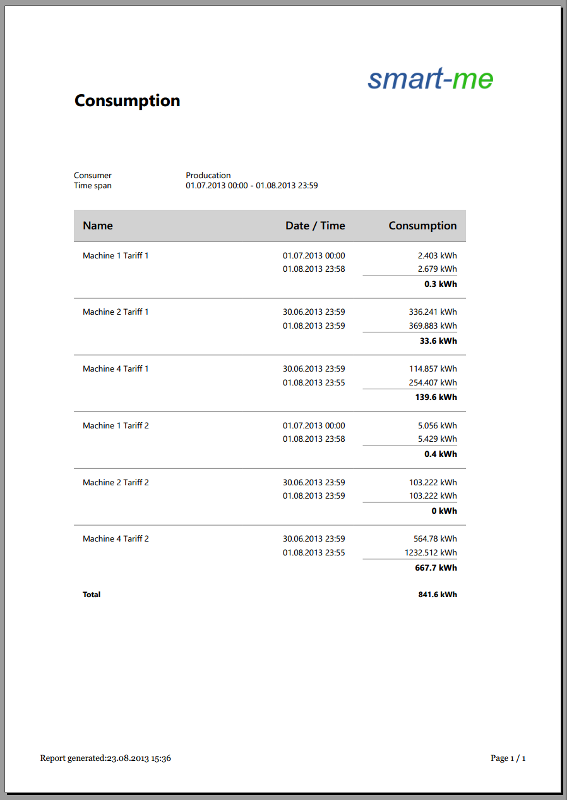 Create quickly and easily different kinds of Reports of your energy data. You can download the Reports as PDF or Excel File. You can define Alarms. E.g. when the meter power exceeds an defined value or if the connection to the meter is lost. With smart-me Billing you can created easily your Energy Bills. smart-me billing is very simple. Configured in Minutes it automatically creates the Energy Bills.